LactiCheck™ -02 RapiRead | Page & Pedersen International ltd.
Dual Cow Channels or Cow/Goat - Most Versatile! A practical, reliable and affordable alternative to previously available options for milk composition testing, the rapid (40 second test time), real-time, reliable results and straight-forward simplicity bring the benefits of state-of-the-art technology to you today! Robust and impressively precise, the LactiCheck LC-02/RR can be integrated at any point throughout the Processing Plant, from Milk Reception to Production to final QC/QA. affordability and reliability of the LactiCheck brings the benefits of current technology to you today! Artisanal Cheese Makers: Many cheese makers had to rely exclusively upon costly tests and experienced delays in results by sending samples to independent laboratories. Now real-time results are achievable on-site. Dairy Processors: The move from bench chemistry to automation has been outside of the budget of many small and mid-sized dairy processors. Costs of equipment, maintenance and training have been high – but today there is an affordable alternative. Large Dairy Processors: The LactiCheck is a cost-effective back-up to fully automated infrared systems and can easily be integrated into satellite positions (milk receiving, production, etc.). 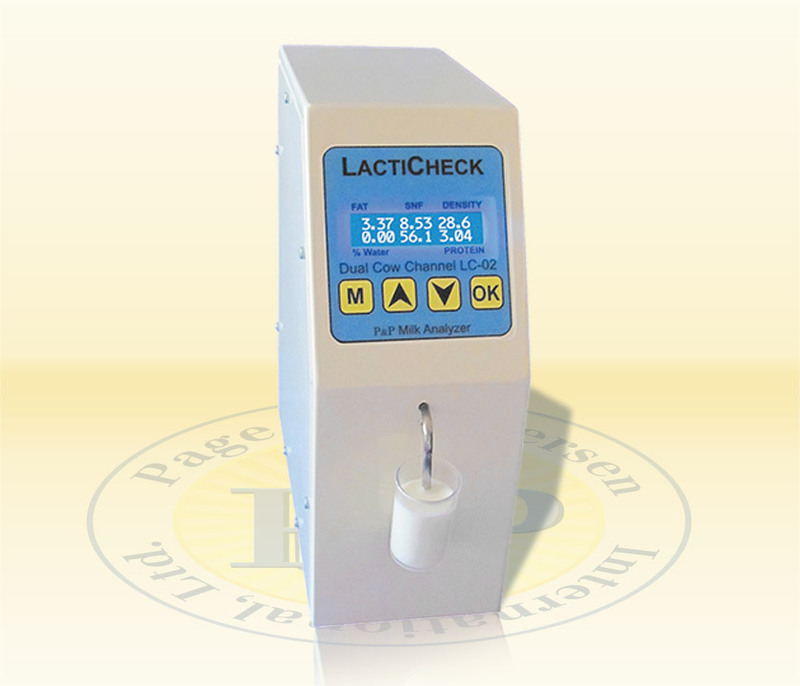 The LactiCheck is also a cost-effective solution to take the pressure off the central laboratory at a dairy plant – many of our customers have a LactiCheck on the production floor to test the change over of products or confirm completion of cleaning/maintenance. 40 second readout with extended Fat range (14% fat). For both raw and processed cow (or goat) milk.